Valium, the brand-name version of the drug Diazepam, is part of a large group of anti-anxiety drugs called benzodiazepines. Though these drugs can be life-altering for people struggling with chronic anxiety, they're also addictive and potentially dangerous, with side effects that can affect every area of your life. Valium addiction, like most benzodiazepine abuse, is notoriously difficult to overcome and frequently requires medically supervised or assisted detox. Valium addiction, like most benzodiazepine abuse, is notoriously difficult to overcome, and frequently requires medically supervised or assisted detox and withdrawal prior to successful recovery treatment. Valium potentiates the effects of a neutotransmitter known as GABA, and in doing so modifies activity in your brain and spinal cord, resulting in slowed reaction times and making you sleepy. Every user is different, and the specific effects of Valium depend on your age, weight, previous drug use history, health, and a host of other factors. The system-wide depressant effects of Valium can be quite serious, and overdose is a distinct possibility if taken in amounts that exceed what has been prescribed. Poor motor control and difficulty driving. Depression and loss of motivation. Slowed heart rate and respiration. Hallucinations, but usually only at very high doses. The addiction timeline with Valium varies from person to person. Some people begin to experience tolerance and dependence after just a few doses. Others use the drug on a prescription basis for years without a problem. There's no way to predict how your body will react to Valium, so unless you need the drug for medical reasons, avoiding it is the only way to avoid Valium-related health problems. Worsening of depression and mental illness. Difficulty sleeping without the drug. Permanent brain damage from cardiac and/or respiratory arrest. This is a dangerous cocktail of withdrawal symptoms (that includes generalized seizure) that can land you in the hospital, all while making quitting Valium seem like the worst possible option. The longer you use Valium, the more likely it is that you will begin experiencing cravings. In the early stages of addiction the cravings may be no more severe than a craving for chocolate. As the addiction progresses, cravings can become so intense that they are impossible to ignore. If you experience cravings for Valium, this is strong indication that you're on the road to addiction. Every mind-altering substance can produce tolerance over time. Remember when you got drunk for the first time? Odds are good that you can drink more now than you once did, and Valium is much the same. Over time, your body gets accustomed to the drug, necessitating larger doses to get the same effect. The adaptation occurs even in prescription users, which is why doctors may alternate drugs or steadily increase prescription users' dosage. Some users respond to this tolerance by taking more and more Valium, rendering them vulnerable to accidental overdoses and speeding up the time line from recreational abuse to addiction. Over time, your body adjust to Valium such that it views the drug as necessary for daily functioning. If you continue using Valium, dependence is the inevitable result. Over time, your body adjust to Valium such that it views the drug as necessary for daily functioning. It's this process that can hasten a Valium addiction since prior to developing chemical dependency, Valium is relatively easy to quit. Once you become dependent, though, it's unlikely you'll be able to quit without medical assistance. When you become dependent on Valium, and you attempt to quit using, withdrawal is the unpleasant side effect that keeps you coming back. Withdrawal is both physical and psychological, which means that in addition to anxiety and intense cravings, you may also experience symptoms such as headaches, vomiting and nausea. 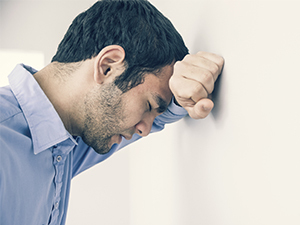 Particularly among those in poor health and long-term Valium users, withdrawal symptoms can include seizure and convulsions, and even become life-threatening. If you plan to quit using Valium soon, talk to your doctor about the safest way to do so. If the fear and dangers of Valium tolerance and withdrawal have you locked in a cycle of continual use, a substance abuse treatment program could provide much needed recovery assistance. Call our toll-free hotline at 1-888-993-3112Who Answers?, to speak with a compassionate treatment support specialist about Valium addiction rehabilitation programs today. Valium addiction does more than affect your life; it can easily become your life. Addicts are so preoccupied with Valium that they'll give up almost everything to get it.Though all drugs can cause intense withdrawal, Valium leads to a unique cocktail of symptoms known as benzodiazepine withdrawal syndrome. You may become intensely ill in between doses, or behave in erratic and unpredictable ways. Divorce, breakups, and strained relationships with friends and family. Breaking the law and getting into legal trouble. Losing your job, or not going as far in your career as you otherwise could. Valium is commonly used to treat anxiety disorders, which means that having an anxiety disorder is itself a risk factor for taking and becoming addicted to Valium. If your addiction festers long enough, it can lead to painful life circumstances that undermine your mental health. Some people with mental health issues rely on Valium as a form of self-medication that numbs the challenges of mental illness, the pain of mental health stigma and the frustration of trying to find good treatment. For many Valium users, though, the anxiety actually gets worse on the drug, necessitating progressively higher doses, and expediting the timetable to addiction. For others, Valium is itself the cause of mental illness. Benzodiazepines can alter brain chemistry, leading to a host of mental health problems. If your addiction festers long enough, it can lead to painful life circumstances that undermine your mental health. It doesn't have to be this way. Mental illness is common, afflicting a quarter of the population. Most of them can lead happy and productive lives, and so can you. The same is true of addiction. Millions overcome the pain of addiction each year, but to get better, you must be willing to admit you have a problem and seek treatment. Prolonged Valium use can lead to rebound anxiety and exacerbate a number of concurrent mental health issues. Many treatment programs are equipped to address both issues simultaneously. Call 1-888-993-3112Who Answers? to find the right Valium recovery program for your individual situation.